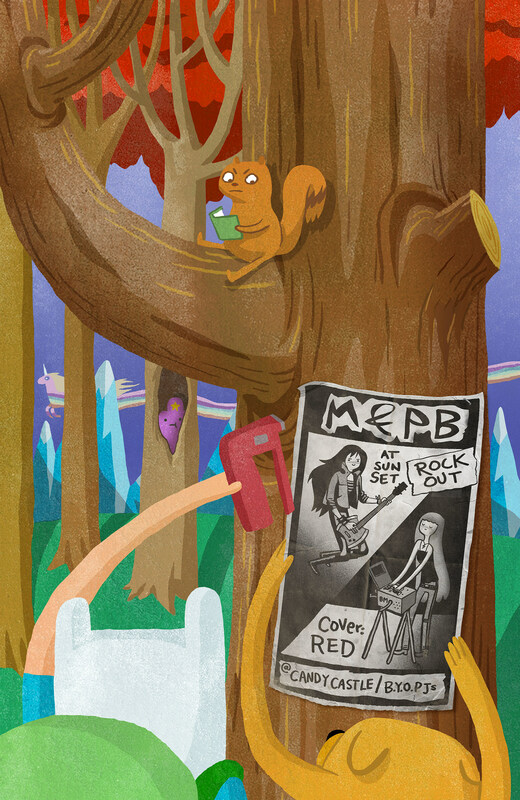 Adventure Time fans, prepare for a double dose of monthly comics. Joining Boom! 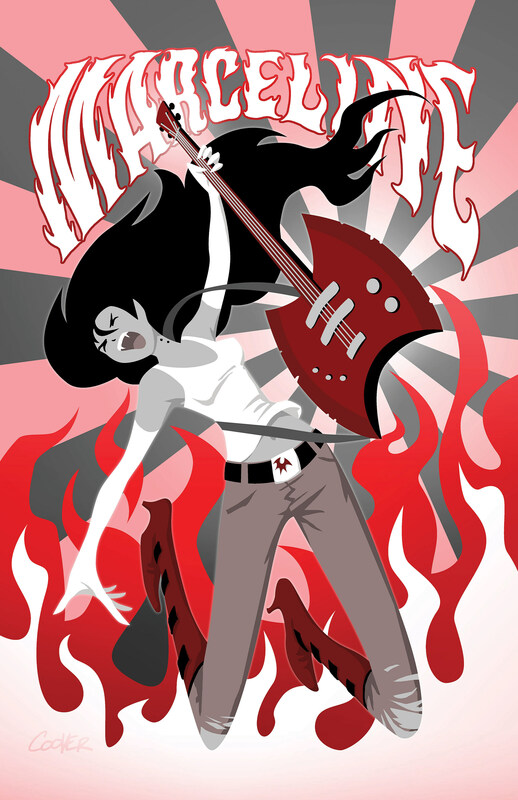 Studios' regular monthly AT comic in July is an all-new spinoff series, Adventure Time: Marceline and the Scream Queens. 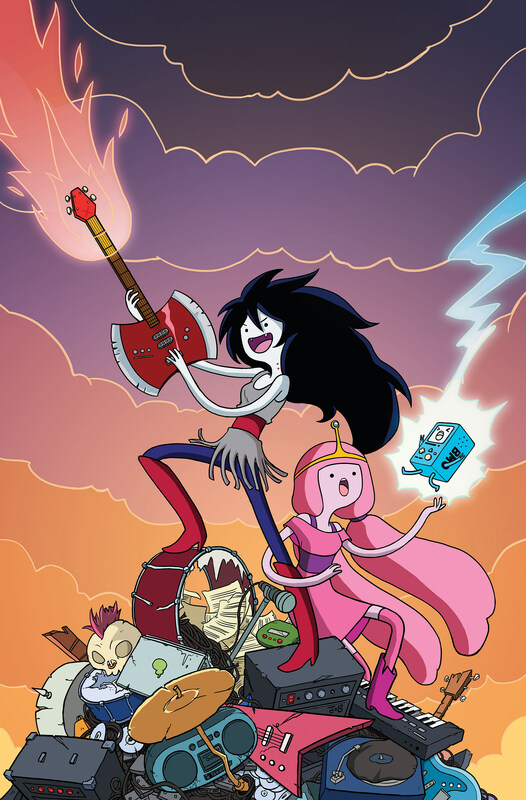 Written and illustrated by Octopus Pie creator Meredith Gran, the new series will follow Marceline the Vampire Queen as she rocks the Land of Ooo with Princess Bubblegum. 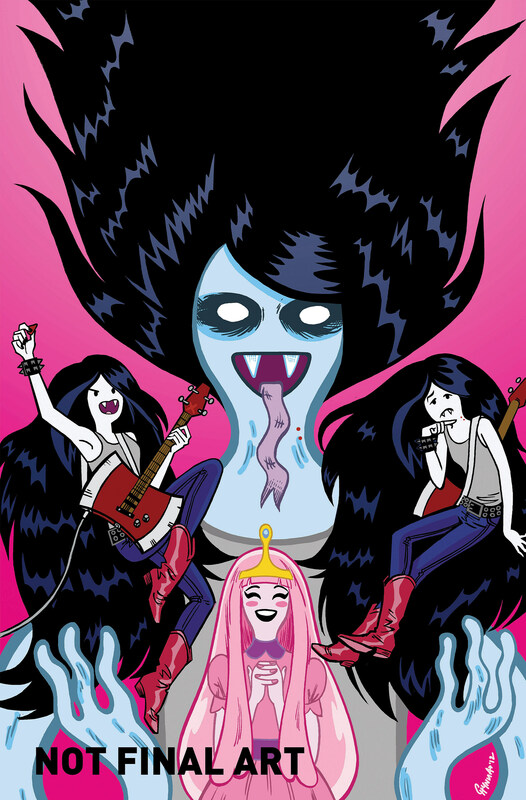 In addition to the main story by Gran, Adventure Time: Marceline and the Scream Queens #1 will feature a backup story by Jen Wang (Koko Be Good). To top it all off, the series' first issue will feature variant covers by JAB, Chynna Clugston (Blue Monday), Lucy Knisley (Stop Paying Attention, AT #2), Ming Doyle (Womanthology, Fantastic Four) and Colleen Coover (Gingerbread Girl). Check out full images of all five covers after the cut. 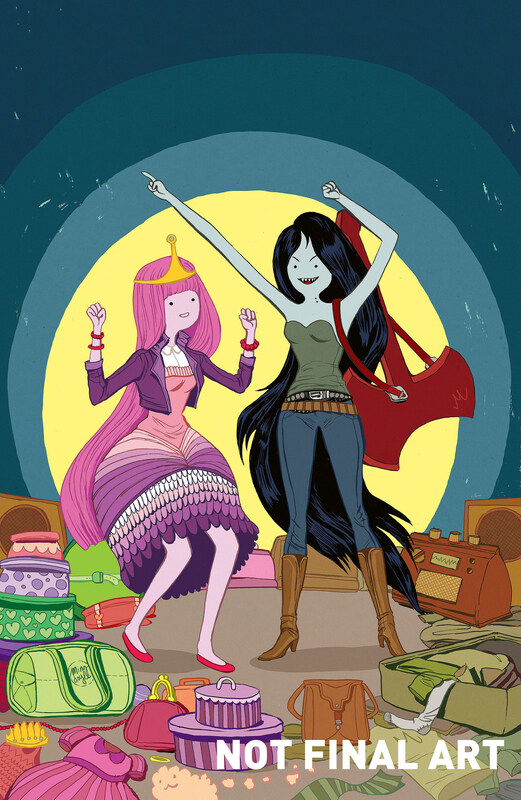 "I'm thrilled to be doing a story with Marceline," Gran wrote in an e-mail to CA, "She and Princess Bubblegum are my favorite characters -- super fun to write and draw -- and I definitely have a sense of how important they are to fans. So far the reaction has been incredibly positive, and I hope people are pleased with the results!"